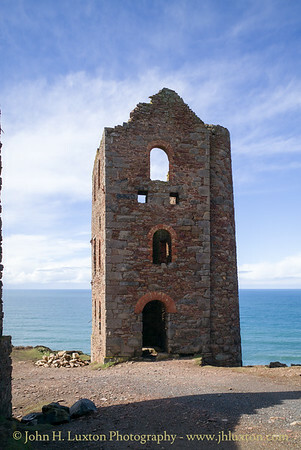 Wheal Coates is situated on the north coast of Cornwall on the cliff tops between Porthtowan and St Agnes. The mine opened in 1802 and was worked until its closure in 1889. It came into full production in 1815. 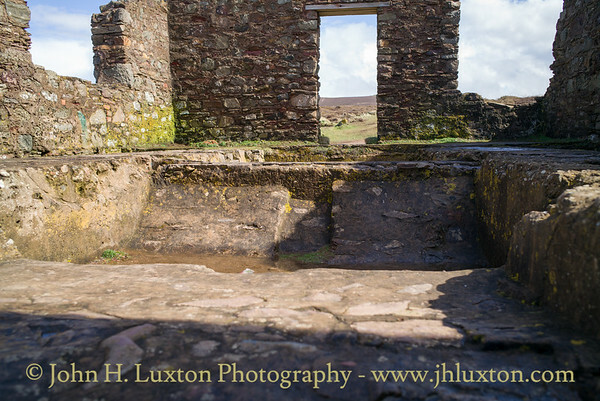 The surviving buildings date from the 1870s when deep underground mining began at the site and were stabilised and preserved in 1986 by the National Trust. 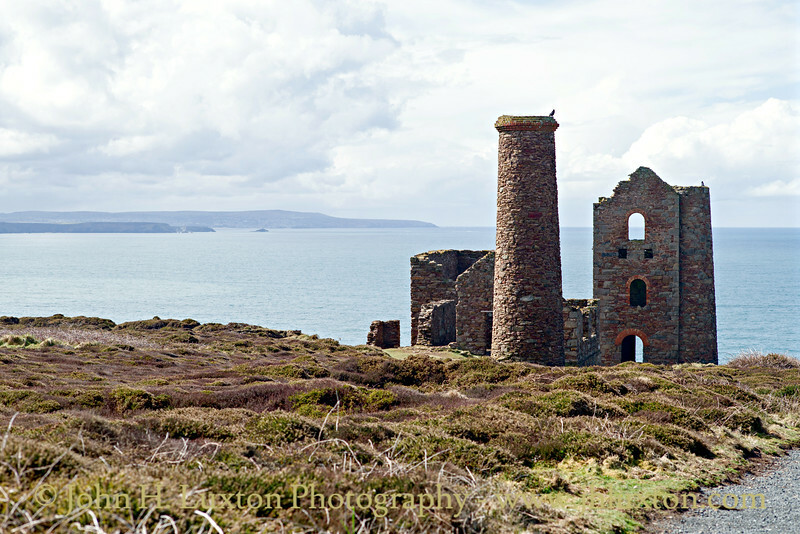 There are three engine houses that formerly housed Cornish engines. 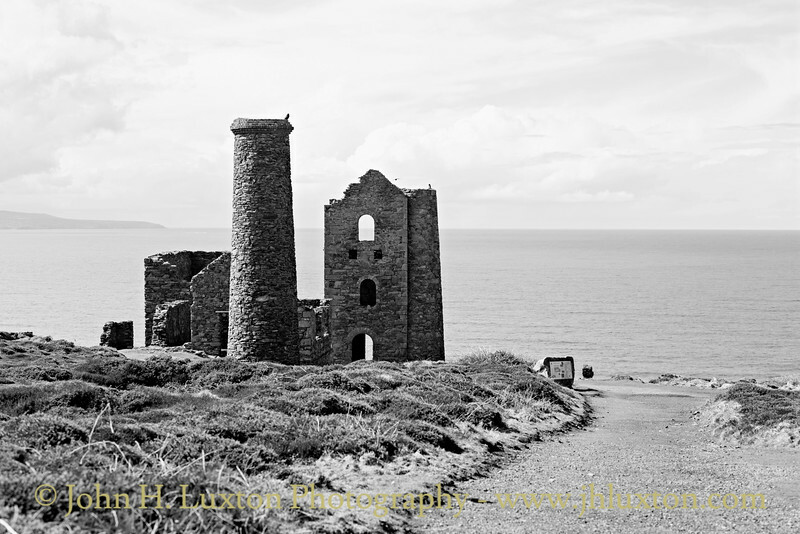 Towanroath Pumping Engine House (1872) was used to pump water from the adjacent 600 ft Towanroath shaft. 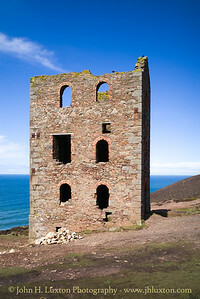 Whim Engine House was added in 1880 to crush ore for processing. A calciner dating from 1910–1913 roasted the tin to remove impurities such as arsenic. 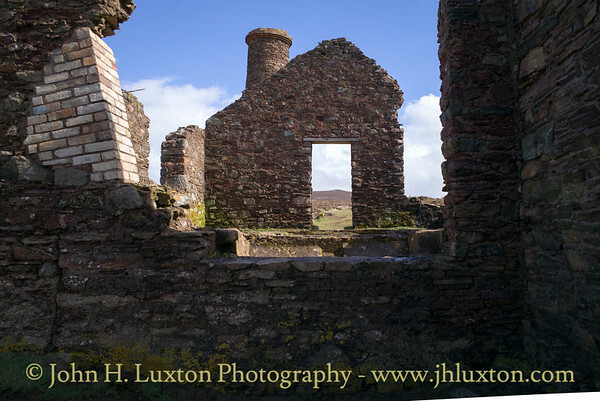 In 1881 138 people were employed at the site to mine a seam of tin just below sea level but this and a subsequent period of operation from 1911-1913 were not very successful because tin production was sporadic. 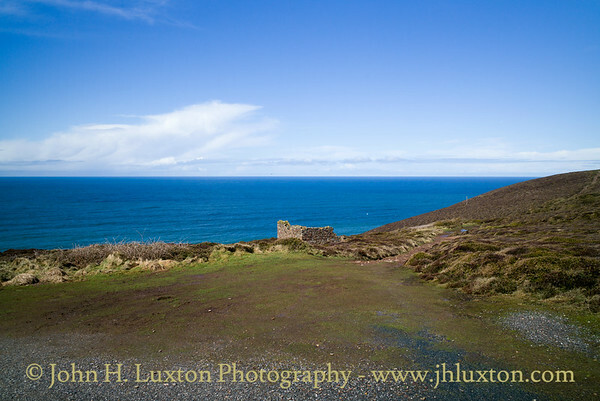 The buildings of Wheal Coates on the cliffs between Chapel Porth and St Agnes viewed from the path to the car park. 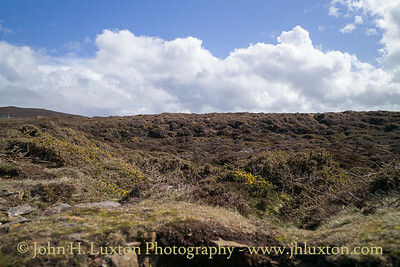 In the back ground can be seen Godrevy Island and beyond St Ives can just be made out. 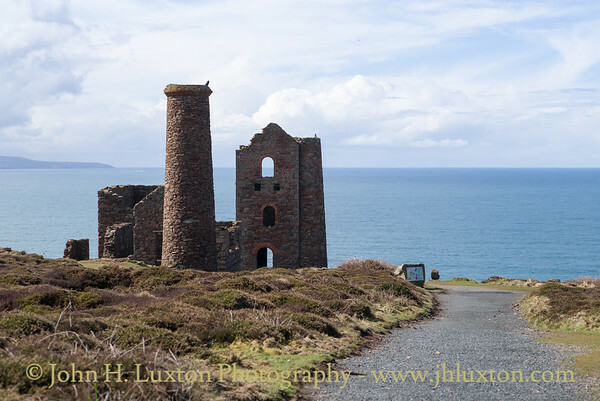 The buildings of Wheal Coates on the cliffs between Chapel Porth and St Agnes viewed from the path to the car park. 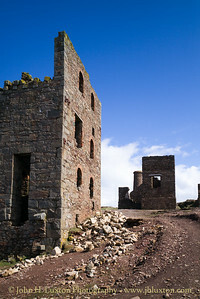 Visible are the whim engine stack, immediately behind the 1910 whim engine house. Slightly to the left with higher walls is the 1880 whim engine house - whilst beyond is the larger stamps / whim engine house of 1872. The mine opened and closed several times and for the last time in 1914. 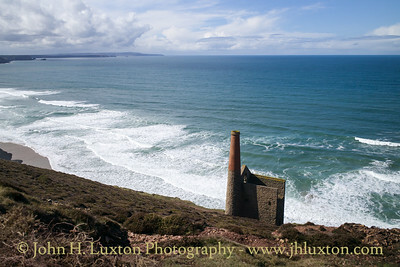 The buildings of Wheal Coates on the cliffs between Chapel Porth and St Agnes viewed from the path to the car park. 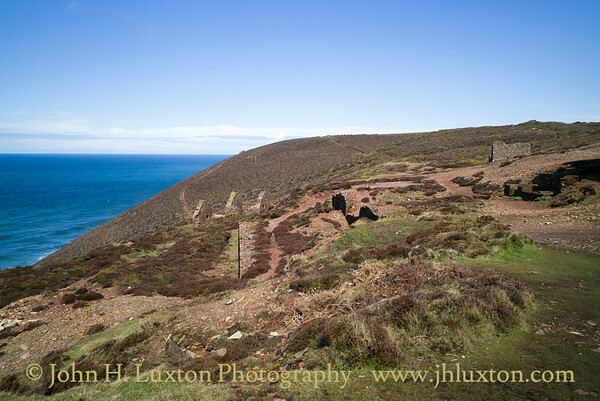 View towards the remains of the double bayed calciner used for roasting tin ore. The stamps and whim engine house of 1872. 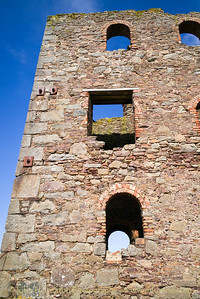 Detail of the 1910 whim engine house built for the final working of the mine which ended in 1914. Recess in the concrete loading for the 1910 whim engine which would probably have accommodated the winding drum. 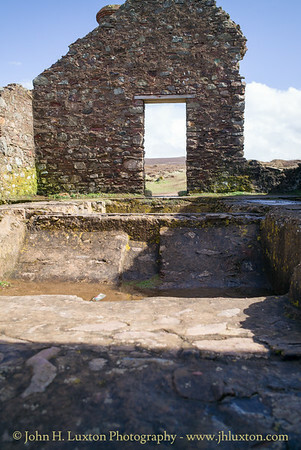 The 1910 whim engine house. The recent brickwork dates from consolidation of the structures by the National Trust in the 1980s. 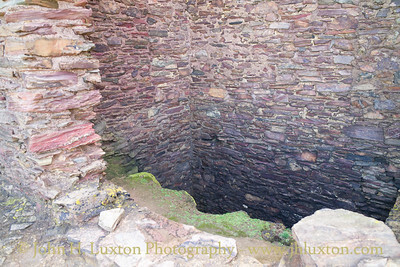 Detail of the 1880 whim engine house. 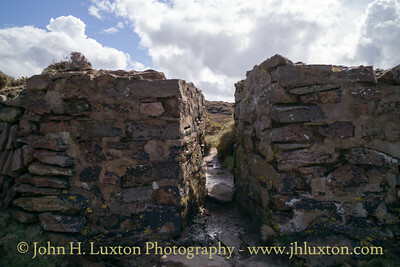 Gap in the dam wall of the boiler pond. 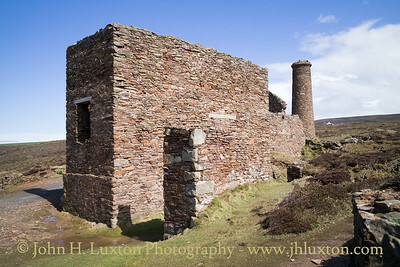 The 1880 whim engine house. The later 1910 whim engine house is behind this building. The 1872 Whim and Stamps engine house which accommodated a 24 inch engine. Wall detail of the 24 inch whim and stamps engine house of 1872. 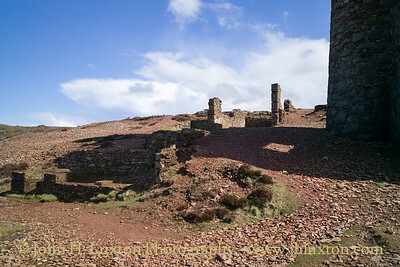 From left to right the combined stamps and whim engine house of 1872, the 1910 whim engine house immediately next to it the 1880s whim engine house. 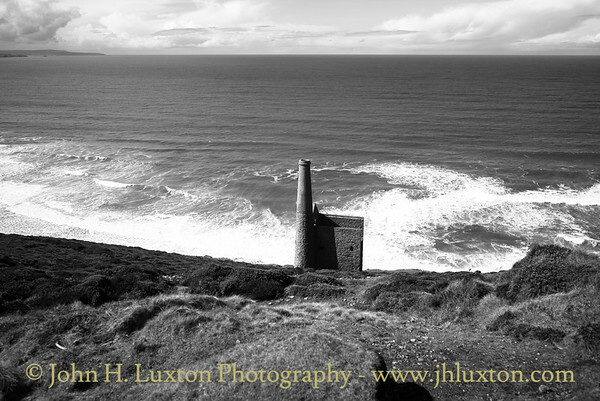 Towanroath Pumping Engine House (1872) used to pump water from the adjacent 600 ft Towanroath shaft. 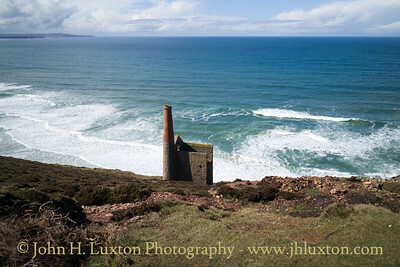 After the Botallack (Crowns Section) engine houses this must be the second most iconic Cornish engine house. 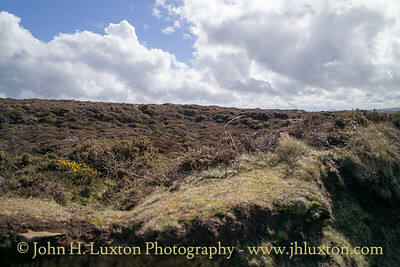 It is now in the care of the National Trust. 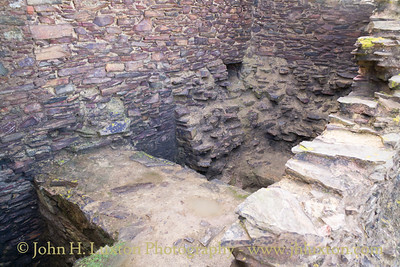 Foundations of the gas engine installed 1910 to 1913.